���We are delighted to report that Sue Kable, our travel agent for many years, is back working with us to make travel arrangements for members of the National Federation of the Blind. She now works for Brunswick Travel, Inc., which has negotiated a special arrangement with US Airways for 2001 convention travel at 10 percent below any published fare for tickets purchased more than sixty days in advance and 5 percent below published fares for all other tickets. Call Sue to make your airline reservation, (800) 852-2736. If she is not available, ask for Elsa or Eike. Be sure to mention that you are with the NFB and attending our convention. To get the best fare, call today. ����The National Blindness Professional Certification Board has announced certification for orientation and mobility teachers. This certification body was established to ensure that blind people receive orientation and mobility instruction from qualified teachers who meet professional standards for orientation and mobility. This certification is unique in that it requires the candidate to demonstrate before examiners 1) personal mastery of the skill of independent cane travel under sleep shades; 2) practical and academic knowledge of the field of orientation and mobility; and 3) evidence of strong positive personal convictions regarding the abilities of blind people. ����Applicants must satisfy one of the following in order to be eligible to apply for the certification examination: 1) documentation of a minimum of two years of successful teaching experience in the field of orientation and mobility or 2) completion of a university program approved by the National Blindness Professional Certification Board. An application form must be completed and sent, along with a processing fee of fifty dollars, to the Chair of the Orientation and Mobility Examination Committee. Once all application materials have been received, the Chair or a representative appointed by the Chair will contact the applicant to arrange for the examination. ����Three members of the Orientation and Mobility Examination Committee will evaluate the candidate. The three areas to be examined include 1) fundamental cane techniques for indoor and outdoor travel demonstrated under blindfold in an unfamiliar environment, 2) body of knowledge in the field of orientation and mobility, and 3) philosophy of blindness. The candidate must achieve a score of 80 percent in each area in order to earn certification. ����A study guide is being created listing resources and information that will be helpful in preparing for the examination. For more information contact Dr. Ronald Ferguson, Chair, Orientation and Mobility Examination Committee, 101 S. Trenton Street, Ruston, Louisiana 71270, (318) 251-2891, <fergusonr@lcb-ruston.com>. ����Braille: Into the Next Millennium, a 600‑page anthology of articles by more than two dozen international experts in the field of Braille, has been published jointly by the Library of Congress's National Library Service for the Blind and Physically Handicapped (NLS/BPH) and the Friends of Libraries for Blind and Physically Handicapped Individuals in North America. Braille literacy is currently a vital concern of advocacy groups of blind people and service providers. ����In his foreword NLS director Frank Kurt Cylke notes, "With a tactile medium such as Braille comes literacy--spelling and writing--and broad communication possibilities are open and available. With literacy comes the possibility of freedom. With freedom comes the possibility of endless achievement, from pleasant living to significant social contributions. Personal and institutional commitments to Braille by enthusiasts in the United States have helped advance literacy for blind individuals in North America and have therefore advanced the possibility of freedom for thousands." ��� The book is divided into three parts. Part I, "Braille in the Past," includes three authors who discuss the origins of Braille, embossed printing in the United States, and the homeplace of Louis Braille in France. Part II, "Braille in the Present," includes eighteen articles on such diverse subjects as the basic literary, mathematics (Nemeth), and music codes to modern refreshable Braille displays and tactile graphics. Part III, "Braille in the Future," contains three authors who write about Braille as a predictor of success, electronic distribution of Braille, and future Braille codes and fonts. In addition there is an appendix of ASCII Braille characters, a list of contributors, and an extensive bibliography. ����According to the book's editor, Judith Dixon, consumer relations officer for NLS/BPH and originator of the concept for the book, "We trace Braille from its beginnings through the myriad of current uses and also take a peek at the future. Each author is an expert in his or her field and has brought to this work a perspective that can be acquired only through experience and a profound closeness to the subject." ����Kenneth Jernigan, who served for many years as President and then President Emeritus of the National Federation of the Blind, states in his preface, "It is in this atmosphere of renewed opportunity and hope that the current book is produced. It will make a valuable contribution to the new emphasis on Braille, and it will give historical background and perspective. It will also synthesize and draw together present thinking and point the way to the future." ����The book is available in Braille and recorded formats for NLS/BPH readers. Print copies have been supplied to the world's major library institutions, as well as the significant university library collections in the United States and Canada, through the Friends of Libraries for Blind and Physically Handicapped Individuals in North America. ����Single print copies are available at no cost from the Reference Section, National Library Service for the Blind and Physically Handicapped, The Library of Congress, Washington, D.C. 20542. ����������� For additional information contact Robert E. Fistick, Head, Publications and Media Section, National Library Service for the Blind and Physically Handicapped, Library of Congress, Washington, D.C. 20542, Telephone: (202) 707‑9279, E‑mail: <rfis@loc.gov>, NLS Web site: <www.loc.gov/nls>. ����M. Chowdhury, President of the Care and Service to the Visually Handicapped of Bangladesh, has requested Braille, large-print, and cassette books and journals as well as equipment of all kinds for blind people. Donations may be sent Free Matter for the Blind and Handicapped to the Central Library for the Blind and Physically Handicapped (Project of Care and Service to the Visually Handicapped), P.O. Box 5225, New Market Dhanmondi, Dhaka 1205 Bangladesh. ����Kurzweil Personal Reader, Model 7315, Version 1.1, hand and automatic scanner, $2,000, or best offer. If interested, call Carmen Conklin at (641) 435-4151 (days) or (641) 435-2036 (evenings). ����Online training in a variety of subjects is now available. Learn Windows 98, HTML Web-page design, PowerPoint, Microsoft Word, Eudora, and more from the comfort of your own home. Both live, voice chat, and independent-study courses are available. Receive quality training at an affordable price. For more information contact Cathy Anne Murtha at the Web site <www.accesstechnologyinstitute.com> or call (916) 922-3794. ��� Never used Perkins Electric Braille Writer, still in the box. We have two, but we need only one. It is great if you have arthritis or hand weakness or just need to Braille quickly and effortlessly. We paid $900 and are asking $700. We love using our electric Braille writer. Contact Margaret Joseph, 297 Klinger Road, Canonsburg, Pennsylvania 15317; (724) 746-0239, <m.j.joseph@worldnet.att.net>. ����Tom and Monica Venesky, members of the Baltimore chapter, announce with joy the birth of Nicholas Paul on January 5, 2001. He weighed five pounds, thirteen ounces, and measured nineteen inches long. Parents and baby son are all doing well. ���If you have experience working with blind teen-agers twelve to eighteen years old; if you enjoy outdoor activities, have good cane-travel and Braille skills, and are willing to share your experiences as a blind person with teen-agers who truly need the support of blind peer mentors, then this is the job for you. � Those who are interested may contact Debbie Bacon, Program Coordinator of the Youth Enrichment Program, at (916) 452‑8271, extension 305 for an application and further information about the position, including stipend and travel expenses. This is your opportunity to create positive attitudes about blindness and bring about a true metamorphosis through mentoring. ����The Jerky Seminar is planning a reunion for the National Convention in Philadelphia. Seminarians who wish to attend or help in the planning should contact either John Bailey <john_bailey17@hotmail.com>, (703) 273‑1053, or Stephanie Scott <STEPHANIELSCOTT@aol.com>, (404)763‑0013 for information. ����Lorraine Rovig of the NFB Technology Department discovered a Web site that might be useful as you plan your NFB National Convention activities. Its name is self-explanatory: <www.phillyrestaurants.com>. Bon appetit. ����The United States Blind Golf Association National Championship will be expanded into a major thirty-six-hole open tournament for both the blind and the vision‑impaired. It will be hosted by the Greensboro Adams Farm Lions Club and held at the Sedgefield Country Club, Greensboro, North Carolina, from September 17 to 19, 2001. Hotel, golf, and other event expenses will be covered for qualifying golfers and coaches, but not travel fares. Anyone interested in blind and vision-impaired golf or competing can contact the USBGA at phone/Fax: (850) 893-4511, email: <USBGA@blindgolf.com>, Web site: <www.blindgolf.com>. ����The Kanawha Valley Chapter of the NFB of West Virginia has elected new officers for the coming year. They are Roland Payne, President; Ed Greenleaf, Vice President; Barbara Smith, Secretary; Barbara Olive, Treasurer; and Ed Greenleaf, Board Member. James Olive is an Alternate Board Member. ����President Maurer Writes: Mrs. Joanne Pelzer was a remarkable person in the history of the National Federation of the Blind. The Federation moved its headquarters from Des Moines, Iowa, to Baltimore, Maryland, in 1978. The National Center for the Blind was being established, and remodeling in the building at 1800 Johnson Street was underway. The Center opened in April, 1979, and Mrs. Pelzer was the first person from Baltimore to become a staff member, joining the fledgling crew on April 29, 1979. She continued to work as a staff member of the Federation until health problems made this impracticable. However, she continued to serve the organization, coming to the National Center for the Blind and doing the work of the Federation until the end of 1998. She was one of the longest-term members of our staff with a record of employment that lasted just short of twenty years. ����Mrs. Pelzer was quiet and unassuming, but she was also dedicated, energetic, reliable, and generous. She was always available to help, and she gave much greatly appreciated advice. Hers was a warm and friendly spirit, and she served the National Federation of the Blind with all of the vigor and enthusiasm she had. 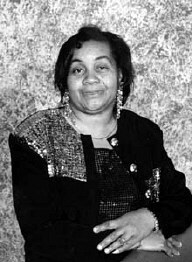 On February 22, 2001, Mrs. Pelzer died quietly from complications of diabetes. She demonstrated the hard work and commitment that have helped to bring harmony and growth to the Federation for decades. She is one element of the mixture that has made the Federation strong. Beyond that she was a good and loyal friend, and we will miss her. ����The Massachusetts affiliate has been working for years to bring talking ATMs to the blind of New England. On February 28, 2001, Fleet/Boston conducted a press conference at the Perkins School for the Blind in Watertown to announce an agreement between Fleet and the blind community ensuring equal access in banking at hundreds of Fleet locations throughout New England. Kevin Lessard, Director of Perkins, acted as the official host. Prior to the formal conference, executives from Fleet gave hands-on demonstrations to those interested in learning how to use the new talking ATMs, and many of us took advantage of this highly instructive session. With an ordinary headset blind customers can now take care of their banking without sighted assistance. Speakers identified this as an important advancement in equal access for the visually handicapped under the Americans with Disabilities Act and pointed out that it has been ten years since President Bush signed the ADA into law. Fleet's willingness to install talking ATMs was one more step toward greater independence for the blind. ����The Radio Reading Service provided live coverage of this event, and Fleet invited several disabled athletes to speak to the students and staff at Perkins as a way of recognizing the achievements of blind people in all walks of life. Students and alumni asked the guests a number of questions. The NFB of Massachusetts worked closely with other consumer groups and Fleet Bank to bring about this event, and everyone enjoyed the general air of good will. We can hope that, after the largest New England bank has taken the first step, others will soon follow. Local TV and radio stations were on hand to give this commitment the kind of publicity it deserves. ����The Diabetes Action Network of the National Federation of the Blind reaches out and provides support and information to thousands of people. Because operating this valuable network and producing the Voice of the Diabetic costs money, we must generate funds to help cover these expenses. Our Diabetes Action Network has elected to conduct a drawing, which will be coordinated by our division treasurer, Bruce Peters. ����The grand prize will be $500. The winning ticket will be drawn and the winner's name announced on July 6, 2001, at the banquet held during the annual convention of the National Federation of the Blind. ����Drawing tickets cost $1 each, or you may buy a book of six for $5. Tickets may be purchased from state representatives of our Diabetes Action Network or by contacting the Voice editorial office, 811 Cherry Street, Suite 309, Columbia, Missouri 65201, telephone: (573) 875‑8911. Anyone interested in selling tickets should also contact the Voice editorial office. Tickets are available now. Names of those who sell fifty tickets or more will be announced in the Voice. ����Make checks payable to the National Federation of the Blind. Money and drawing ticket stubs must be mailed to the Voice office no later than June 10, 2001, or they may be delivered personally to drawing chairman Bruce Peters at this year's NFB convention in Philadelphia. This drawing is open to anyone age eighteen or older, and the holder of the lucky ticket need not be present to win. Each ticket sold is a donation, helping to keep our Diabetes Action Network moving forward. ��� The National Federation of the Blind of West Virginia elected new officers for the year. They are Ed McDonald, President; Roland Payne, First Vice President; Mary Ann Saunders, Second Vice President; Charlene Smyth, Secretary; Darren Burton, Financial Secretary; Dennis Ranker, Treasurer; and Vicki Long, R.L. (Bob) Hunt, Andy Baughman, Denzil Jones, Ed Greenleaf, Willis (Buck) Saunders, Sheila Davis, and Dotty Schultz, Board Members. ����ALVA 320 twenty-cell, in excellent condition. Works well with DOS and Windows. Runs with Window-Eyes, OutSpoken, and JAWS for Windows. Asking $2,100 (negotiable). ����Navigator 40. Good back-up system. Just refurbished at Blazie Engineering. Excellent condition, $1,000 or best offer. ����Braille Lite 18, includes disk drive (older model, not the newer one) cables, carrying case, chargers. Has 1999 upgrade. No service contract. $2,100 (negotiable). ����If interested, call Isaac Obie at (617) 247-0026. ����The Capital Chapter of the NFB of New Jersey was recently established. The officers and board members are Mary Jo Partyka, President; Sue Tillett, Vice President; Ben Constantini, Secretary; Henry Ingra, Treasurer; and Dave Mostello and Tim Dalton, Board Members. Congratulations to this new member of the NFB family.